Why, as an organization or as marketing personnel, would you need a read through of this article when you already understand everything ever said about promotional campaigns? This article is definitely for you. You would have noticed that although there are various literature sources on marketing campaigns, most of them are not far-reaching and others are missing the necessary steps required for the process. Most organizations regularly fall short at advertising because of the adoption of a primitively poor and inadequately planned strategy for their marketing campaigns. Such inferior promotional efforts lack the inspiration that is required within their content thereby lagging in sharing effective and strategic keywords when showcasing their products. As seen in most cases, a significant number of resources get wasted on paid acquisition campaigns. Let’s dwell further on the reason for such failures. As seen in many such cases, there is a lack of understanding of the true essence of marketing, marketing strategies, and their intended objectives. Ask an engineer, and he would stand by the belief that a well-built product will automatically be well accepted within the customer circles. Their general predisposition towards advertising and related campaigns is mostly negative. This is pitiful and also an off-base judgment considering the real-world scenario. Let’s start by defining marketing with respect to its objectives. The key objective of marketing to get found by your target audience. Your inbound marketing practices clubbed with automation strategy is all designed to get found against related business keywords, engage new visitors, convert them into leads, implement various lead nurturing activities, and finally push them down the funnel towards conversion. Ofocurse, it’s not that easy as said. All marketing campaigns involve a series of well-planned stages or a progression of steps keeping the objective mentioned above in mind. For clarity, this article has been divided into two sections: first discussing the reasons for failures of major marketing campaigns and then getting into a detailed discussion of planning an efficient marketing campaign including customer profiling, segmentation, content messaging, lead nurturing, multi-channel marketing by exploring channel sources, calculating ROI as well as optimizing. A big number of marketing campaigns fail despite their big budgets and a large number of team forces involved in the planning. Why so? While discussing marketing strategy with various marketing executives across multiple organizations, I realized that marketing strategy for most of these players is an exhibit of an excel layout with a rundown of trackers such as social media, content promotion, SEO, SEM, email marketing, paid acquisitions, etc. A substantial number of resources are available that offer strategies on the best way to enhance your landing page, choosing and testing of a title, the most attractive wordings to be used, conversion rates, etc. Information is also available to learn to utilize shading and pictures to enhance navigation rates etc. Given the same, the most vital piece of the marketing procedure is the need for a strong marketing foundation incorporating client profiles, strategic messaging procedures and wordings and an aggressive and competitive positioning. As has been observed, most organizations lack a defined marketing procedure or a well-defined approach towards the same. It is, of course, understandable in the case of a startup enterprise where there are more important sustenance issues to consider rather than focusing on marketing. However, the scene remains unchanged even with mature and long functioning organizations. These giant players also most often have no sketched out the system with regards to marketing. Although I do not completely support a bulkily bound document for a small enterprise with a limited number of clients, I do strongly favor keeping a crisp, minimal framework of a few pages. This framework must incorporate your organization’s marketing objective, the client profile, market fragments, content subjects, key marketing channels and perhaps strategic messaging having outlined value proposition. An easily understandable and crisp marketing rulebook will not only empower an organization to remain centered but will also be a guiding light when enlisting and hiring the needed marketing human resources. The marketing rulebook or a playbook is a self-learning tool for any new marketing employee. A big number of organizations today have large specialized teams working on various channels like the social media, paid acquisition, etc. Although there are some definite, measurable benefits of having well structured and isolated teams working on specialized areas, the focus on channels often shifts the attention from the clients. The key concern of a marketing campaign should always be revolving around customer needs and experiences. The shift of focus often leads to fluctuations in the marketing strategy, the budgets and so on. We often encounter scenarios where marketing rulebooks are not documented, to begin with. It is observed that the first step that most organizations take within marketing efforts is to plan on spending the money. Where to spend, how to spend, what messages to utilize are some of the key concerns of these organizations. The most critical question on whom to target is mostly left for the last. Enlist the possible and best channels which can help reach the intended customer groups. Enlist a set of pointers to check and calculate the success of a marketing campaign. The need for market segmentation is often poorly understood within most organizations. When the need is to maximize the ROI, this is one factor which should not go unexplored. However, even for organizations who know and identify their intended customers, marketing campaigns still end up unsuccessfully. The goals and requirements of every intended client are different depending on the organizational vertical. 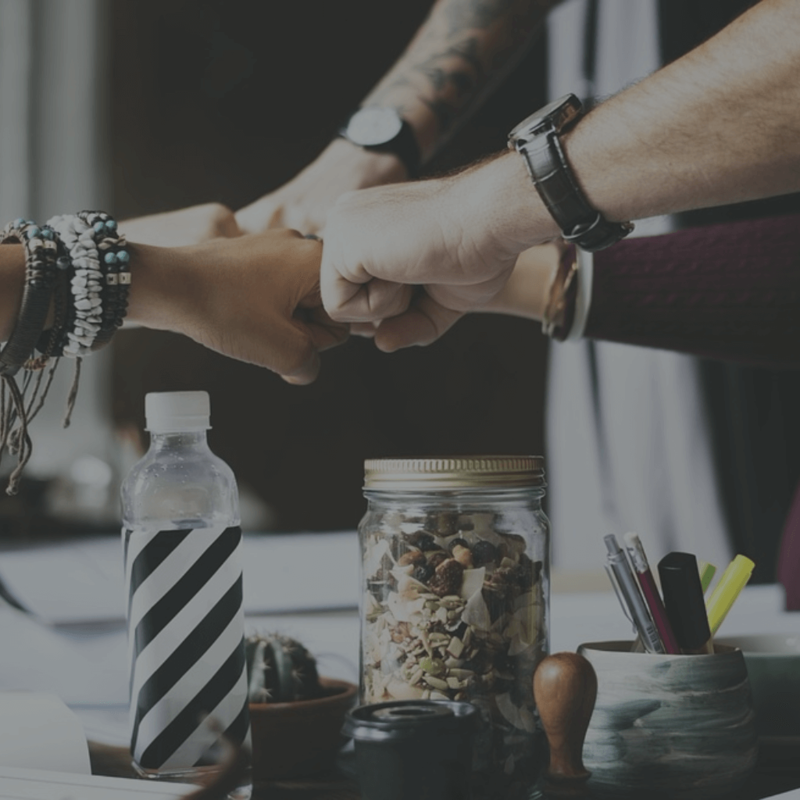 Sales teams belonging to different industries may have entirely different challenges and hence altogether different demands from a marketing campaign. We’ve dealt with only a few reasons for failures of marketing campaigns in the section above. There are many more causes like non-availability of suitable and attractive content, weak calls to action, poor management of customer acquisition costs, budget-related issues, etc. That said, the most significant reasons for crashed market campaigns in most cases remain the reasons as discussed within this section which includes lack of target client identification and poor understanding of market segmentation. NOTE: Please do read the guide on strategic messaging before moving on to the next sections to understand this article better regarding target customer profiling and strategic messaging. Most marketing teams are aware of the significance of creating and understanding Ideal Customer Profile(ICP) which, without a doubt, is the foundation for achieving success when it comes to marketing campaigns. An ICP enables the organization to set its objectives, understand market segmentation needs and create them efficiently, develop intended messaging, and also chose the ideal channels for their promoting efforts. The last article detailed out the processes involved in planning ICPs. The current article will focus on some other aspects apart from the already discussed ones. The process of buying a product includes not only the senior management levels but also stakeholders at various levels and varied objectives. It is especially true for larger organizations trying to promote more impactful products. It is hence imperative that an ICP ought to be produced for each persona in the purchasing procedure thereby assuring that the organization comprehends the individual needs of all concerned parties. What are the key steps towards outlining an ICP? The ideal way is to look deeply into the client organization as well as internally within your team. Questionnaire-based assessments should be carried out to with the target clients to understand their needs. A second good way to follow to understand more about your optimal client profile is to dive into your CRM information and investigate what kind of clients have the most astounding Customer Lifetime Value (CLV) and the briefest sales cycles. There are specific marketing companies which on behalf of a customer would collect data for their existing and future customer bases. They provide all sorts of detailed information like the engagement of CRM, customers social media accounts and even market analysis. When armed with this data, organizations are in a better position to create their ICP and also possibly select preferable customers based on high customer lifetime value and brief sales cycles. However, there is a lot more to creating an ICP and selecting the target customers for your business. More often than not, when an organization concentrates just on the profile of current clients, they pass up a significant opportunity for bigger chances to pull in clients that may be a superior fit for their offered products. This can be a result of both; poor market analysis or using ineffective messaging tools. This sometimes attracts the wrong or let’s say, a less profitable customer. The idea is to look within as well as outside an organization and to put up an appropriate messaging to attract the best customers in the market. Most of the techniques mentioned above sometimes, however, do not hold true for new startups. With these nascent organizations, the focus should be on finding an ideal and possibly long-term customer. They should hence limit their focus when it comes to creating an ideal customer profile. The expansions can happen gradually as the organization grows. This is often an undervalued step when planning marketing strategies. The definition is as simple as the term itself, that is, isolating or dividing the market into characterized segments based on qualities and values. As Tom Wentworth has correctly pointed out, market segmentation is a very crucial subject that goes beyond marketing. A carefully planned segmentation has its impacts on strategy, content messaging, creating product plans or roadmaps and also structuring the sales teams. When I joined the new incorporated marketing team at Sophos in 2009, my key job profile included creation and management of paid acquisition campaigns, mostly including Adwords since the programs that were running before that were failing on their performance criteria. The key identified issues for the failure was high CPC (Cost per Click). Our issues were mainly because of a large consumer base which could easily take a high cost per lead adding no value to Sophos. Also, since Sophos’s client base was mostly large organizations inline most other similar service providers, the organization had to take into consideration the high CPC as well as consumers while developing its list of key activities for acquisition. Let’s understand the depth of this issue in terms of numbers. The average CPC for some popular keywords is in the range of 5-10 $. At a CPC of 5$ including a conversion rate of 5%, the figures come out at 100$ CPL (Cost per Lead). This is particularly high when you need to add a significantly large consumer who is hard to repudiate. Now, with such high figures, the marketing budget can increase dramatically making campaign ROI unmanageable. Further, in a scenario where only 70% of the leads are genuine, the operative CPL comes out to be 143 $. Although for Sophos, the size of the deal was good enough to make it profitable to pay an approximate of 150 $ per lead, yet, lengthy sales cycle of 6-12 months made it difficult to prove marketing ROI. The reasons there was a 12-month waiting period to earn revenue even when spending 40K$ monthly finally. So how did we resolve the issue at hand? We hooked up with a marketing agency which would design our destination pages but also manage our Adwords. The agency recommended and carried out market segmentation for all the paid campaigns which were supported by our internal marketing team. We began by creating a focused destination or landing pages for target customers looking for specialized products within specialized sectors. When creating a landing page for say an antivirus solution, we made focused pages for different companies like finance, retail, education, etc. An individual marketing campaign and messages further support each landing page. The focus was also on narrowing the keywords related to our product concerning each specific company thereby creating unique content for each consumer. Now, since we made the ads more relevant, our CPC and further our CPL decreased. Not only this, but we also went on towards micro-segmentation within a specific industry based on its performance, creating even more specific ad campaigns and landers. We brought about more than 50 capture pages within a few months focused on separate industries and products. Even with the added development cost for multiple landing pages, it was easy to get to a break-even level pretty soon, by decreasing the CPL. We ended up improving our Adwords campaign by an average of over 100% on CPL. The study helped us value the significance of market segmentation, developing dedicated landing pages and focusing on separate industries based on their unique demands. We also increased the overall traffic on our website and provided a self-service platform for consumers where they could segregate themselves based on their needs and the industry and check for relevant landing pages. LEARN MORE: Brian Halligan, CEO of HubSpot discusses segmentation and targeting for scaling company in this article — HubSpot’s Playbook for Going from Startup to Scale-up. Before we move further, let us understand that the primary focus of segmentation should always be on narrowing down the market and getting deep within the selected consumer bases. As an easy to understand example, this would mean that if there is a select number of touches that an organization is willing to pay for, it should focus on getting that number within a limited number of consumers rather than increasing the number of consumers but reducing the number of touches per consumer. The idea is to jump deep but within narrowed down circles or better still, strike a healthy balance between both. The need for expansion of the number of consumers should always be well researched. Taking the Sophos case study as an example, given that scenario, it would be a bad idea to make segments which target data protection for nonprofit organizations, specifically those larger than 100 employees in south-east Asia. The idea would not generate good returns unless of course there are many such organizations within the nonprofit segment. Having the customers within the segment segregated enough in terms of values. The article will now provide a detailed account of different and unique ways for market segmentation. The Sophos case study discussed above is a straight example of vertical segmentation. The focus here is on specific verticals within multiple industries. Various big organizations have had tremendous success using vertical segmentation. An ideal marketing campaign focusing on pain-based segmentation will test each category and sometimes even divide the first one into three different sub-segments, viz, revenue, engagement, and retention. Clients can have three or fewer values impacting their purchase. In each case, the prioritization of these values could change depending on a particular segment. The first goal is to secure the position of a product in the market and to have it in a leading position against its competitors. Once the product is suitably placed, future marketing campaigns can be segmented based on the competition and the competitors. The trick is to know ones positive and negative points and to put them across in the most desirable fashion. The key here is to realize your strengths and weaknesses and play your cards accordingly. Rather than downgrading the competition, the focus should be on showcasing your product as unique as possible thereby changing the perception of the customer. The product should speak and promote itself to the customer concerning a particularly identified customer pains. How does one compare a Volvo and a BMW? They both have their strengths and weaknesses. However, Volvo markets itself for its safety values whereas the BMW markets itself for its performance values. On a side note, sometimes, downplaying your competitors can also work as an effective marketing strategy. We have seen this practice numerous times within various industries. The cola marketing war is well known. However, one surely does need to play it exceptionally well to carry it successfully within consumer markets. As we have earlier discussed, for new startups, the focus should be on finding and retaining long-term clients rather than expanding marketing campaigns. Sometimes, however, it is not a bad idea to get your group into a focused list with such campaigns to float the organization’s name in the market. For established brands, the idea to generate marketing campaigns against smaller groups is often an unsuccessful attempt. It not only validates the other brand but also somewhere deteriorates the established brand’s perception amongst the consumer. It is hence always advisable for large brands to simply ignore the new startups and their marketing campaigns and try not to campaign against them. Additional Learning: Sometime back, I read this awesome article by April Dunford – Obviously Awesome: A Product Positioning Excercise. Also, do read this article on laws of duality by AI Ries – The Law Of Duality is Creating Havoc with many Marketing Programs. This type of segregation works best in the scenarios when a product has achieved the top levels with respect to the sales or when the product integrates with numerous CRMs at the same time. Various top product organizations like the PandaDoc integrate with multiple CRMs and create dedicated landing pages for every interaction. Although, as discussed above, individual landing pages may be a costly option to develop, however, the long-term profits outweigh the development costs. Such technology-based segments create marketing campaigns focused primarily on technology adopted by your product. When the focus is technology, the campaigns also end up reaching focused targeting audiences which need or utilize the same technology. After having successfully segmented a target market, which in itself is a very crucial stage for planning marketing strategies, there is a further need to develop strategic communication and messaging to suit the need of each segment and the customers within. Technology-based segments should follow up with a thorough description of the process of integration of the product with the targeted clients. The messaging should outline the value enrichment or time management provided by the product. For vertical segments, the communication should always include the challenges faced by individual organization verticals. A well-devised messaging has substantial implications on the content of web landing pages, advertisements, etc. As per the definition, marketing channel is a medium required to transfer the products from the start point, that is, production to the endpoint, that is, consumers. There is no shortage of marketing channels in today’s world of growing technology. That said, as we have earlier discussed within this article that it is of prime importance to first identify and understand a targeted customer, build a profile, segment them using various suitable techniques as discussed above, adjust and plan to message before moving on to marketing channels. Various marketing channels could be chosen based on the specifics of the product, the need and the consumers. These could range from Social Media platforms like Facebook, Twitter, etc. or through any other channels. However, jumping over to such marketing channels and creating marketing campaigns within these before identifying and understanding the customer is a definite mistake. This is specifically so because each chosen channel has its strengths and limits, different targeting audience and capacities as well as different CTA politics. Each acquisition model has its own CTA, destination page as well as marketing assets. For simple products, one can lead marketing campaigns to free trial modes. A lot of organizations using the free trial approach shift from gated content or signups. There are various such examples which ask the customers to enter an email address to get a limited number of free trial period. However, for larger and expensive products, building free trial modes is often not simple. Within such scenarios, gated contents are a success. However, these gated contents do not come without their own set of limitations. For small business owners, it is easy to give their email, and further get access to the required information and are hence not likely to sign up for demos. The objective here is to have a thorough understanding of the client acquisition process and then create suitable destination pages and CTA. This section will focus on discussing the sales and marketing alignments in details. To start, it is imperative to understand and remember that once market segmentation has been done and strategic messaging placed in accordance, sales representatives must be aligned up with the same. For example, it would, of course, be a shame to advertise a general value proposition if the organization belongs to a financial sector. The entire product and sales team needs to be closely engaged in the market segmentation process as well. This will help to carefully review and adjust the roadmap and incorporate the necessary changes that arise from internal feedbacks. An even better idea would be to include product managers while developing ICP, strategic messaging, segments, and a marketing campaign. 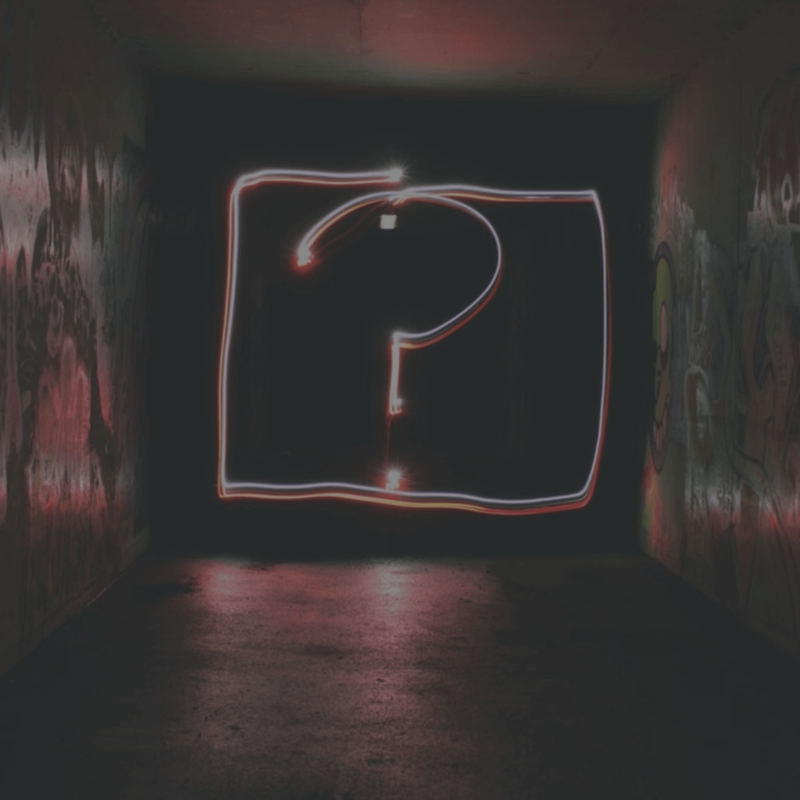 Both marketing and sales teams should be ready with a set of qualification questions directed towards each vertical. It goes without saying that focused case studies, customer feedback can add a lot of value to the campaign. During the inception stage, CRM can be marked for a specific industry and the sales team can then adjust their internal qualification call in accordance. Looking back at the Sophos case study, the organization understood the importance of vertical segmentation and made use of the same. The sales group was formed with an understanding to focus on a limited number of vertical markets. How did this help? It gave the sales team a thorough and in-depth understanding of issues that the industry faces. They also became aware of the competition and other conditions influencing the industry. It is imperative that it is of key importance to track a customer over time and also understand the effect of segmentation etc. on CLV. This will give the required feedback to further adjust and improve upon the marketing campaigns. This is not of primary importance when it comes to an understanding of a customer. Focusing on first touch or last touch patterns within your marketing strategy will shift the focus from understanding the customer to merely studying the patterns. The key is to have a better understanding of the client and not to focus on such patterns. Let us understand through a real-life example: For an athlete, it is hard to decide whether the first or the last practice is of critical importance. While the first one is important for getting into the chosen sports, the last one perhaps is critical to winning that shining gold medal. The truth, however, is neither of these completely. It is the fact that the practice sessions performed over many past years are what adds up to a winning performance. Similarly, while marketing, the focus should be on understanding the prospective clients and their interactions with the strategic content, the product as well as the marketing campaign long before they develop into a customer. This study of long-term trends and patterns of a prospective client is much more critical than the first touch or the last touch. The trend, focusing on how many times the prospective client visited a website, studied your marketing plan or content is much more critical than first or last touch. Budget estimation or calculations of ROI for marketing is not easy. For example, in scenarios where one does not have free mode sign-ups and only demo requests are collected in exchange for an email address or contact information, it is difficult and tricky to estimate the ROI. As we saw in the Sophos case study, with longer sales cycles spanning 12 months or so, free trials or signups or not ideal options since one needs to wait for a long period to start seeing revenues. Hence, calculating customer acquisition with respect to sales life cycle is often not easy. In the Sophos case, there was an intermediate step developed which required the sales group to assign prospective revenue numbers for each opportunity. This revenue figure was further utilized to calculate ROI. If we generate 1000 leads at the rate of 50$ per lead between January to March, all the leads need to go through the sales process. Now, if 25 opportunities were created totaling to 200k$, the total revenue per opportunity is 200k$ divided by 25 opportunities, which equals to 8000$. Also, since there were 1000 leads, to begin with, the opportunity per lead cost is 200k$ divided by 1000 which is 200$. Hence, the revenue opportunity per lead is 200$. It is important to optimize and test the marketing campaign to turn it into a success. Various literature sources are available for a study of the same. LEARN MORE: Lars Lofgren has a good article on testing and optimization when it comes to marketing — My 7 Rules for A/B Testing That Triples Conversion Rates. What is Account based selling? The keynote here is to concentrate on the marketing strategies for a list of identified targeted customers who provide a relatively high CLV (Customer Lifetime Value). This concept being a relatively new idea gives excellent results when the marketing strategies are aligned with sales and marketing teams. How are marketing campaigns devised based on ABM? The idea is to develop more focused and segmented marketing strategies instead of promoting a generic advertising campaign. ABM approach provides a narrow and in-depth approach as we discussed earlier is the need for planning a marketing strategy effectively. They focus on specifically listed consumers in their select segments in place of targeting the entire sector. Hence, if the focus is on the financial sector, the team will dedicate their attention to the specific list of organizations within that sector rather than going for all. Understand this as an example. If the intent is to sell to the VP level in an organization with around 20 sales personnel, teams need to be careful while picking target organizations. The inclination, in general, is to select the already existing and well-known customers. Although this too might be a good idea in some cases, the intent should be on focusing on targets which have high CLVs. The focus should also remain on selecting organizations with brief sales cycles. We discussed data-driven approaches earlier which helped in analyzing the customers matching to your ILP needs. When marketing strategies are made focusing on individual verticals, unique and strategic messages need to be developed. Further, as we earlier emphasized, the focus should be on all the involved stakeholders who have an impact on the final buying decision. A communication line needs to be developed with each one of them individually. Finally, the organizations also need to have dedicatedly aligned marketing, sales and product development teams to expose their target client to several messages every day. The customer should be receiving males starting the morning shift. The messages should also include ads on social media platforms which will help provide a marketing asset. They could receive an end of day message or an ad on social media on your new campaigns. This is how a perception change will come into being, something we discussed at the beginning of this article. It will allow for a well-spent budget as well as creating a positive impression in the minds of the customer. The most successful campaigns are when sales and marketing teams agree on a focused list of organizations in a pre-decided segment and together design marketing strategies and campaigns for individual clients across various marketing channels. A successful marketing campaign should always be well compiled. The key focus areas as discussed in the article include creating an ideal customer profile, segmenting the market by various need-based means (as discussed under the segmenting section), developing landing pages and strategic messaging content to attract prospective customers. It also includes choosing appropriate marketing channels, developing CTA, co-aligning marketing, and sales units, efficient tracking and analysis, estimating budget and calculating ROI AND finally, optimization and testing of the marketing campaign. The need to develop a simple yet crisp marketing rulebook/playbook to outline the goals of each organization with respect to marketing strategies. The book should be a beginner’s guide towards marketing providing the fundamentals and also maintaining records of success and failure points for an individual organization. Identification of target customer is of prime importance. No marketing campaign can ever be successful running it backward, that is first identifying the channels and later developing an ICP. Understanding a customer profile should always be the first step. Segmentation is critical to the success of any marketing campaign. Various unique ways of segmentation (some of the main ones are discussed in this article) are worth considering and testing to get economically fitting set of clients. Always study the buyer’s lifecycle, journey, pattern to get that much-needed insight. Account-based marketing is the new way to go. It can efficiently help in narrowing of the market and jump deeper into targeted customers at various levels in an organization. 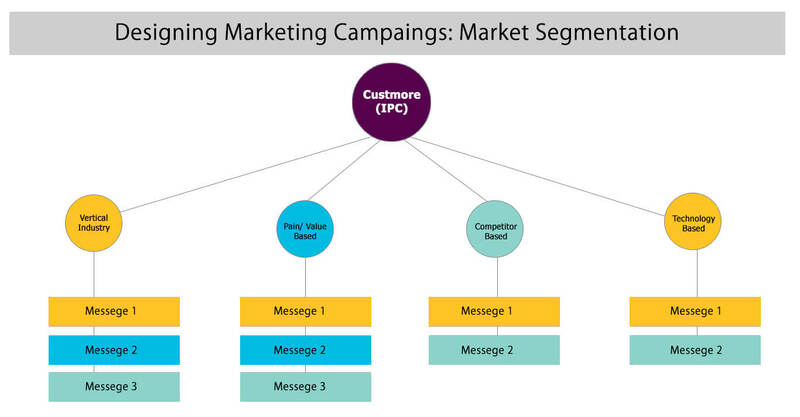 Marketing Campaign always requires segmentation for better results of an organization. Well-written blog! Great points, as these can be a beneficial factor for creating a marketing campaign. Segmentation is very useful in dividing the entire market into various levels so that a marketing campaign can be easily carried out. Thanks for the blog! Good work Ankit! Segmentation is important to carry out a successful marketing campaign. Great insights into designing effective marketing campaigns. You have put forth every point in a significant manner. Being a marketer it is our foremost duty is to make sure that we conduct effective marketing campaigns. Thanks a lot, Ankit for updating the blog. Every marketing campaign needs segmentation in respect of the objective. It can efficiently help in the segmentation of the market at various levels in an organization. Nicely written. There are a ton of factors that go into creating a marketing campaign which pleases the audience and is persuasive. You have put forth all the important points which need consideration.